Nattokinase is a highly purified fibrinolytic enzyme which is produced by the fermentation process of soybeans. The catalyst reaction of nattokinase has been scientifically proven to have many health benefits, largely for the cardiovascular and circulatory system, breaking down blood clots and normalizing blood pressure. This is the reason I started using it. Since leaving hospital in 2004, I have suffered considerably with blood circulation problems. I can get massively swollen ankles and a great deal of pain, after suffering a large DVT whilst in hospital. My ankles used to be black, bruised and lumpy, but after discovering enzymes treatments, they look almost normal! Since using Nattokinase every day, I have seen a definite improvement with my circulation and reduced swelling in my ankles, which I am thrilled about. This is a huge relief which has made daily life that much more ‘live-able’. In it’s original state, the soybeans are fermented by adding a bacteria called Bacillus subtilis, while they are boiled. This produces a food (originating from Japan) called Natto. Only this preparation of soy beans into Natto will produce the nattokinase enzyme. You cannot get it by processing soy beans in any other way. However, commercial demand for it’s blood thinning properties has produced an alternative medicine product that is available in capsule form. This is great news if you are adverse to horrible smells and dislike textures that resemble a slug’s sticky trail, and also if you don’t know how to make natto! The biological structure of nattokinase is actually not a kinase enzyme (as you would think from it’s name), but is a serine protease. 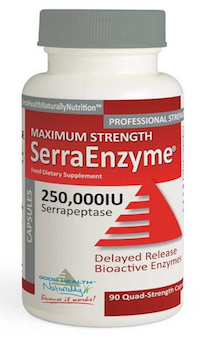 In the human body, serine proteases take control of things like coagulation of blood, the immune system and lead the way for your digestive system. So aside from helping your body to smoothly push your blood around your veins and arteries, from your heart more easily, this minuscule cell property does have many other reasons for including it in our diets. Natto is a traditional Japanese food made by fermenting soy beans, which contains an abundance of vegetable proteins. Natto has a very strong, pungent flavor and is a very slimy paste. It is salty in flavor like, has a (blue) cheese type of smell and is usually eaten with rice. It is considered to be a very good all around, highly nutritional vegetarian food by the people who say it is has an ‘acquired taste’. Why Has Nattokinase Become So Popular As An Alternative Medicine/Dietary Supplement? Heart disease, the cardiovascular and circulatory system are subjects which are very close to my heart. I have a family history of heart related diseases, and I suffered a massive DVT when I was in hospital ten years ago. I almost lost my life to a car accident, and then in hospital doctors almost missed a huge blood clot that had developed in my groin, which was heading up to my heart and lungs. This is why I find nattokinase an amazing addition to my nutrition and healthy plan, because it helps my circulation and defends my heart against the possible attack of hereditary diseases, because of it’s fibrinolytic properties. Nattokinase acts like the bodies naturally produced enzyme called plasmin, which is its ‘self-defence’ mechanism against dangerous blood clotting. Such are its properties, it was once thought that nattokinase could replace aspirin as a blood thinner to prevent hardening of the arteries in people who suffer heart disease. But there seems to be confusion among the experts on this topic! Although nattokinase does have wonderful anti-clotting effects, some experts say that it can replace aspirin, while others say it should not replace it. Important: If you do have any heart related conditions, please remember that neither I or anyone associated with this website are medical professionals, and that you should always consult your doctor about such issues. 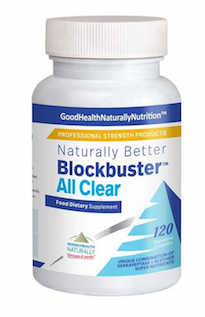 Can You Use Nattokinase to Protect Against Heart Disease and Circulation Problems? Historically, aspirin has been (and still is) prescribed when people pay a visit to their doctor, to talk about their heart. While aspirin does thin the blood to help the heart system, long term use offers you a number of serious side effects as well. So if aspirin is not already prescribed by your doctor, and you want a healthier alternative, nattokinase is your answer. It is your nearest, similar ‘natural’ self defense to plasmin build up, that you can use, after ensuring you are eating a healthy, balanced diet every day, which is high in heart friendly foods. Enzymes work by binding with specific molecules within the body, called reactant’s or substrates. This binding alters the overall structure of the molecule, helping the cells in your body to function normally, or more efficiently. The nattokinase enzyme break down the excessive fibers of blood clots (called fibrins), working in the same way as thrombolytic drugs like urokinase and streptokinase. The only difference is that nattokinase is taken orally, whereas the drugs are administered intravenously, and usually in hospital. The other two enzymes in the same class as nattokinase, are serrapeptase and lumbrokinase. They work in similar ways. But, whereas the natto enzyme mainly helps the blood system, the benefits of serrapeptase are a little broader, helping to ease the symptoms of migraines, IBS and arthritis (just to give you an idea). 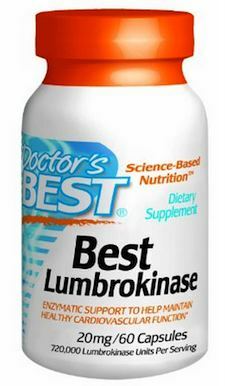 And lumbrokinase also has a wider range of healing properties, and not only helps with blood circulation, but also has specific healing actions that break down bacterial infections. How much nattokinase you should take is usually decided for you. It will be printed on the plastic tub or bottle it comes in. It is usually best to stick to the recommended dose, unless a doctor or other medical professional has advised you otherwise. Why Was Nattokinase Discovered and By Who? When you hear of these types of amazing natural discoveries, don’t you ever wonder how and why they were discovered? Who would think of boiling a pan of soybeans and adding a bacteria, to obtain a microscopic cell, and why? Natto has been consumed in Japan for centuries, but it was Dr. Hiroyuki Sumi, from the University of Chicago discovered its healing properties, almost half a century ago. Sumi was experimenting with almost two hundred different food types to discover which would improve the blood around the human body. Right now there are no known side effects in healthy people who use nattokinase, other than possibly causing longer times to stop nose and cut bleeds. A greater threat of bruising may also occur. However, if you have any kind of genetic or hereditary blood disorder like hemophilia or any other type of coagulation problems, then taking nattokinase may cause you problems and you should refrain from using it. Also, if you suffer from any kind of DVT or other blood clotting disease, and already have warfarin prescribed by your doctor, then taking the nattokinase enzyme is not advised, as it will thin your blood too much to be of any medical benefit to you, and could even be harmful. Also, if you currently suffer from low blood pressure then you should also refrain from taking nattokinase as it will further lower your BP. And if you are a pregnant woman, you should know that there has been insufficient research on nattokinase’s effect on the safety of your pregnancy and your unborn fetus. The best advice right now, is not to use nattokinase while you are pregnant. 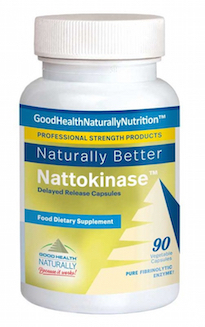 I think you will find this video review of the nattokinase supplement very useful. Yes, if you want to protect your cardiovascular system. It is affordable, unlike many other supplements, and unless you are currently taking anti-coagulation medication or are expecting a baby, nattokinase is a must. Where Can You Get Nattokinase? We use and recommended Good Health Naturally products. I’ve found their nattokinase more easily to absorb over other products, plus a lot more positives. All Good Health Naturally supplements are produced under the strict guidelines as set out by the U.S.F.D.A. and they also have a helpline you can call to help you with any queries you have about their supplements. What then would you ‘suggest ‘ ? Thankful for sharing your information . Hi Teri, I believe serrapeptase would help you to end your fragmin treatment. But perhaps not nattokinase, if you already have low blood pressure. Nattokinase works for me, helps my circulation and keeps my blood healthy (which is why I built this site), so I believe it could also help you regarding swapping for aspirin. But, please discuss this with your doctor beforehand. Hi , Can I take nattokinase to low bad cholesterol ? Yes. I understand from people who have people who have previously commented, they have used with success. Nattokinase and green vegetables how to eat together? I read not to eat greens when taking natto. What no greens? I have not come across that information Beatrice. I eat green vegetables every day. I have a DVT and was taking Wafrain for 6 years and then a year of Xeralto. I just bought a bottle of Nattokinase and feel from what I have read that the blood clot will dissolve and be gone after 8 years. Good luck Julie, I think you will be pleasantly surprised. Hello. I am 44 years old, never been to the doctor much. 2 weeks ago I came down with pneumonia. At the hospital they also found blood clots in the middle lobe of the right lung. Now I am on zarelto 15 mg 2 x daily for 21 days and then 20 mg for the rest of six months. I want to try Nattokinase and serrapeptase because of the fear of blood thinners. How safe would it be to stop zarelto and use the enzymes instead? I would love to say consult your doctor regarding this, but most doctors have never heard of either of these enzymes unfortunately! That being said, I am not a doctor, so before following any instructions on this site, you should speak with a medical professional first. I know serrapeptase and nattokinase works wonders for my own blood system (and many others if you read through the comments section of this page, and a few others..), so I think they could help you. You may want to try weaning off the zarelto, while increasing nattokinase and monitor things. You can always stop taking one or the other, if your blood becomes too ‘thin’. I hope this helps. Thanks Andy,even though I have these issues my blood pressure is normal. I’ve been concerned the doctor is simply doing the obvious for total safety. Will consult with my GP. Hi Len, thanks for the contact. 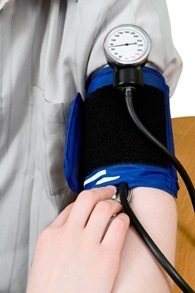 If your blood pressure is already low, then nattokinase is not for you. However, for protection purposes against clots and potential strokes, then I think it could help. Please bare in mind that I am not a doctor, so before following any advice here, you should speak with your doctor again. Hello Carl, and many thanks for sharing your friends story. I wish him the very best of health. Please come back and update us anytime, we’d love to hear more. Thank you, Andy, for telling your story. I’ll tell you mine. I was diagnosed 20+ years ago with blocked arteries. Ultrasound scans of my carotid arteries revealed that they were 50 to 70% blocked. I was told not to eat certain foods, to get more exercise, to take a small aspirin each day, and was prescribed a statin drug. For the next 15 years, I had a scan done every two years, with the same results: 50 to 70% blockage. Then I met a woman who told me about nattokinase and natto. She was taking nattokinase pills for blood clot issues, but what interested me was that she told me that this cleaned the plaque from her veins and arteries. I decided to give this a try. I stopped taking aspirin and started taking the nattokinase pills, but soon switched to eating a tablespoon of natto every other day. 18 months later, it was again time for my ultrasound scan. The results came back that I now had no blockage at all in my carotid arteries. I then stopped taking the statin drug. I have been eating natto ever since, and 2 years later, my regular ultrasound scan again found no plaque in my carotid arteries. My blood pressure has also been reduced somewhat. I have noticed no negative side effects. Thanks for sharing your own story Robert. What an incredible improvement, I bet your doctors were dumbfounded..?! You must have a really strong stomach by now, eating natto instead of taking supplement versions. Not sure I could stomach it. Thanks for your generousity in sharing your knowledge of these compounds, and making yourself available for our questions, it’s inspiring to read of your successes and motivating me to do something similar for chemically induced diabetes. A dear friend has two heart valves that are not working at 100%. He is on oxygen constantly now, and has a terrible time catching his breath. It has stopped his life. His arteries are exremely clogged. I recommended serrapeptase, and I a, looking for other supplements to help dissolve the blockage, and I orive his oxygen levels. What can you suggest? Thanks! Hi Mark, sorry for the delay. Nattokinase compliments serrapeptase, but you may also want to look into krill oil and perhaps curcumin. Could I take Serrapeptase , Nattokinase and Cq10 at the same time? I don’t have anything in my research for Cq10, sorry Alyssa. My question is if you can take Nattokinase with garlic tablets too, or will that thin the blood too much? I don’t have anything in my research, regarding garlic tablets, sorry Mark. Why not cycle both supplements and see which achieves your desired effect. Sorry I could not be of more help. Hello i just have one question is it safe to take natokinase , serrapeotase and omega3 all together or should not i combine all 3 .thanks very much. Nattokinase and serrapeptase together works really well together, but personally I don’t take omega-3 with nattokinase because of the coagulation factors. However, I have read that you can take a lower dose of omega-3 with nattokinase to reduce the risk of the blood becoming too thin. 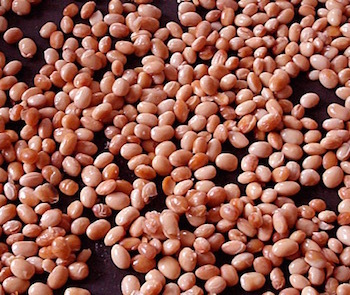 Do you know of anyone who has had success with natto for restless leg syndrome? I have not, sorry Victoria. However, from in my research I found a small bit on using a serrapeptase/nattokinase combination, plus daily use of magnesium oil (applied directly to the legs) is of great benefit, and will probably ease your symptoms of restless leg syndrome. Thanks for coming back with another update (for anyone else reading this, Greg’s previous comments are on the ‘lumbrokinase’ page). I think you are running a bit of a risk with your INR levels, but you know what is best for you. I hope you are successful with the scar tissue dispersal. Please let us know the results of your blood work later this week. I am now taking xarelto and a blood pressure med. But at times i feel dizzy and light headed. I am considering switching to natto. Give it a try Harry, but speak to your doctor first. Thank you for your message. I am not sure John, but my guess would be that you would still need your INR done to test the clotting level of your blood. Have you discussed this with your doctor, if not please do so before swapping warfarin for nattokinase, to be on the safe side. Also, did you know that nattokinase has the power to lower your blood pressure? If not, please read our article titled ‘Nattokinase Reduces Blood Pressure’. Please, once you have confirmation from your doctor, please come back and update us. We would really appreciate it. These articles focus on the relevance of “nattokinase” to cardiovascular diseases. Are there any reports of its successful use in diminishing pulmonary fibrosis? Authoritative resources claim that Serrapeptase can help relieve symptoms of pulmonary fibrosis, however, there were only theories of nattokinase’s benefits for this disease. As there are no side effects to nattokinase, unless you are using anti-coagulation medication, you could trial it yourself. That is what I did, and it changed my life. I hope it can help you too.